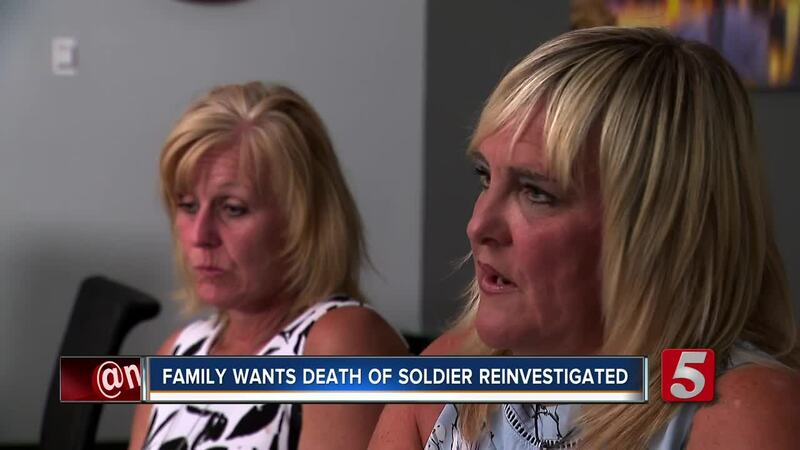 The family of a fallen soldier is searching for justice. Two years ago, 21-year-old Austin McGow was hit and killed after leaving a party in Cheatham County, and his family wants the investigation reopened, claiming that new evidence shows he was being chased. When all of this happened, initially the Cheatham County Sheriff said that Austin McGeough was being chased by bees. Now though with the help of a private investigator, his family says that's not the case. Autopsy results show the 21-year-old soldier was never stung by wasp. His mom, who traveled to Tennessee this week from Connecticut wants the sheriff to reopen her son's case. Initially, it was ruled an accident. After Austin was hit by two different cars when he wondered onto a dark highway. But now private investigators hired by the family have determined there was a third driver who also his Austin and fled the scene. And his family says they have enough evidence to get the case reopened. "We want them to reinvestigate Austin's death and we want them to be accountable for what they haven't done and the way in which our family and Austin have been treated over the last 18 months. This shouldn't happen to another family again and that's our wish," said Jane Barter. Back in 2016, the Cheatham County Sheriff's office also said Austin had snorted Percocet right before he was killed. While he was drunk when he was killed, his autopsy doesn't show any abnormally high levels of Percocet in his body.